Our hollow fiber bioreactors offer peace-of-mind that each batch of an optimized process will have consistent yields. Some of the biggest companies in the diagnostics industry have been trusting us with repeat manufacturing of commercial diagnostics products for decades. 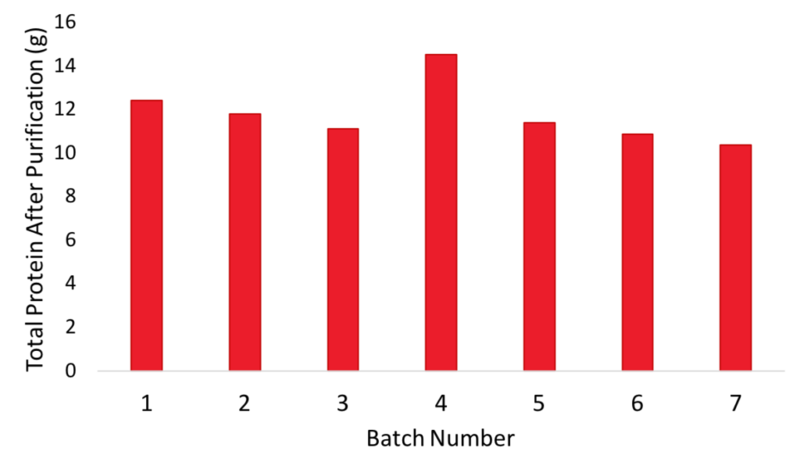 Total protein yield after purification for 7 repeat batches performed at C3 between 2008 and 2018. Each culture was performed in an AcuSyst Xcellerator. Scale-up of biomanufacturing can be time-consuming and can end with an expensive manufacturing process. Traditional production methods like roller bottles and ascites can be scaled out by adding mice or bottles, but labor increases exponentially and inconsistencies are introduced a large scales. 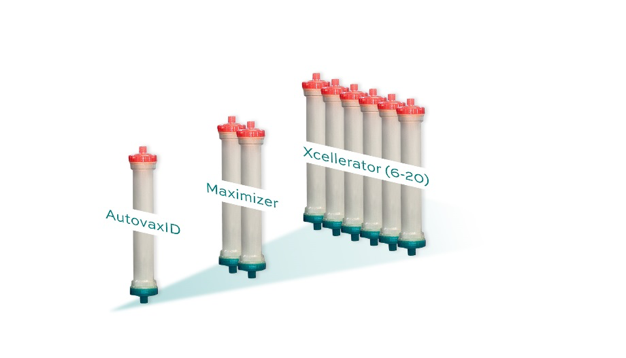 Our AcuSyst Bioreactors are designed for easy, cost-effective scale-out of manufacturing without introducing inconsistencies. When using the AcuSyst platform, production is validated to a single cartridge. The platform is thus linearly scalable by adding bioreactor cartridges to run in parallel for larger production scales. The AcuSyst Bioreactor platform is linearly scalable, with larger bioreactors employing additional cartridges for parallel production.